I met a remarkable person about ten years ago in two too-short collections of her letters and journal entries. 2014 is the centennial of her birth. She died when she was only 29. As I read from the two books which contain her writings, my heart simultaneously breaks and soars. My tiny gift to her memory and legacy is to pass her enormous gift on to others who may not yet know of her. In the context of the late 1930s and early 1940s, she was a young woman with modern attitudes. Her professional endeavors were intellectual ones, in research and psychology. Her lifestyle was decidedly outside the narrower views of morality which predominated in Western cultures of the time. Perhaps it was the untypical themes in her life before the rise of Nazi Europe that were the fertile soil in which the great spiritual fruits of her life were able to grow. My only hope here in this offering is to pique the interest of some to spend more time with her in her writings and, in so doing, know something new and more of the God that Etty came to adore. 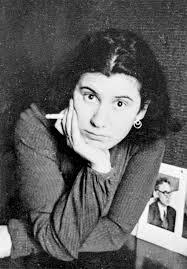 In 1941, Etty Hillesum, then a 27-year-old Jewish woman living in Amsterdam, began to write a journal, portions of which were finally published in 1983. The journal covers the period from March, 1941, to October, 1942- not a very long time. But, with the Third Reich in Europe at the time serving as a terrifying backdrop, the journal records the spiritual transformation of a somewhat self-absorbed intellectual into someone in deep communion with the God of her understanding. 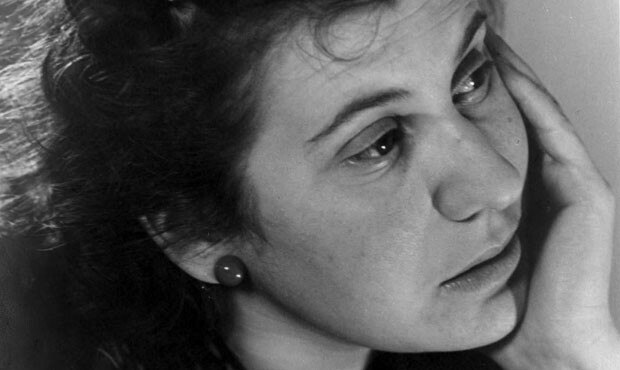 Etty has been called the Mystic of the Holocaust, but any attempt, however well intended, to categorize her spirituality is diminishing of it. Her writings span that time period from when the Nazi oppression in the Netherlands began to worsen, and continue through to her family’s relocation to Westerbork, a holding camp for various “undesirables” being shipped weekly to Auschwitz in Germany. The last record we have of her writing is a postcard she threw from the train which carried her from Westerbork to Auschwitz. It was found by some farmers along the train’s route and mailed and mailed to the address penned on it by Etty. On the postcard were written her words, “We have left the camp singing.” Odd words, one might conclude, to have been written by someone who knew well what that train ride to Auschwitz meant. But they were words written after months of profound and wonderful discoveries about God, even in the midst of circumstances that were destroying the faith of many others.